An abundance of small, semi-double, cupped, shell-pink blooms which are borne repeatedly in large trusses above shiny, mid-green deciduous leaves from June to July. 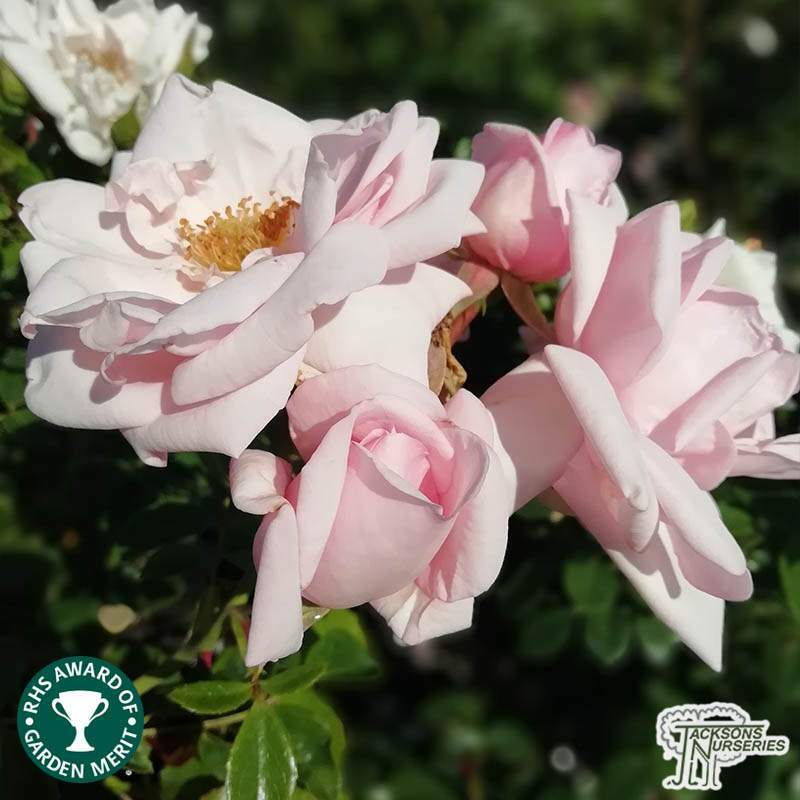 This is an outstanding, vigorous variety with lax, dark green stems which are easily trained over a pergola, arch or unsightly object. 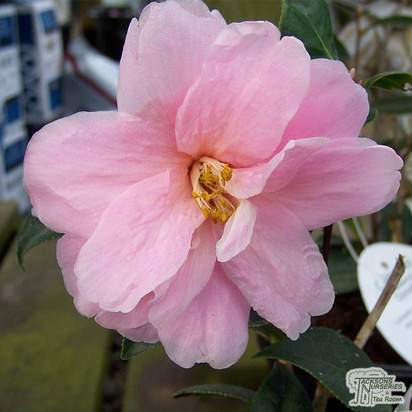 It will thrive in sun or shade and makes a great choice for using as an informal, flowering hedge or for clothing an exposed, north-facing wall. Training the stems horizontally will help to ensure that a plentiful display of lively-coloured, sweetly scented blooms are produced. 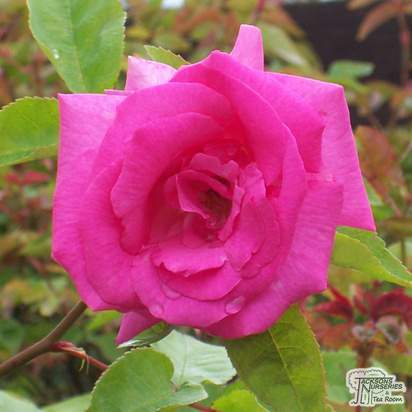 A great, multi-purpose rose which will thrive in any soil type providing it has lots of space. 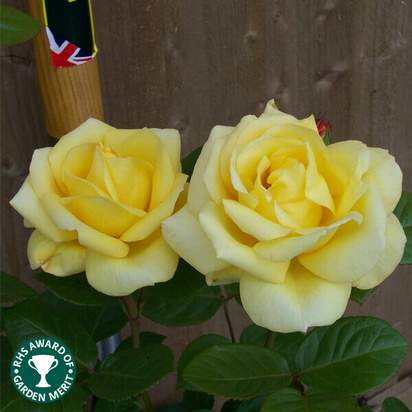 At Jacksons Nurseries our roses are field grown and potted up in autumn/early spring. We sell this newly potted stock as ‘Freshly Potted’ up until they have had chance to root out usually by late spring. 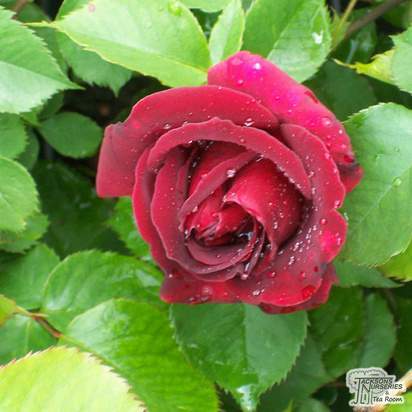 It is perfectly OK to plant freshly potted roses providing you water them well and remember that there will be little top growth until spring. If you do plant them straight away make sure the planting mix is prepared first, hold the rot close to the top of the hole as you tip the pot upside down and try to keep as much compost as possible from falling away. Any stock remaining following the summer flowering season is trimmed back to help keep them tidy. 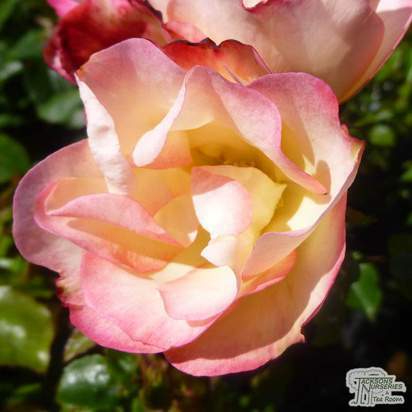 Hybrid Tea roses are probably the most popular group of roses, available in both bush and standard form they have long flower stems and shapely blooms. Blooms are typically medium to large in size, with many petals which form a distinct central cone. 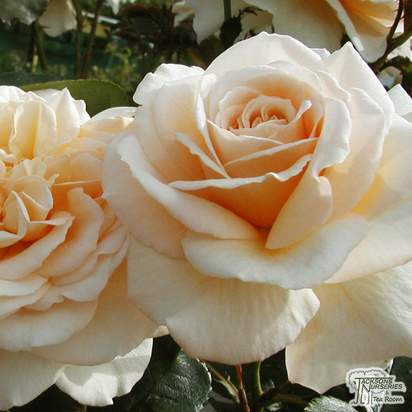 Floribunda roses bears its flowers in clusters or trusses, with several blooms open at time in each truss. 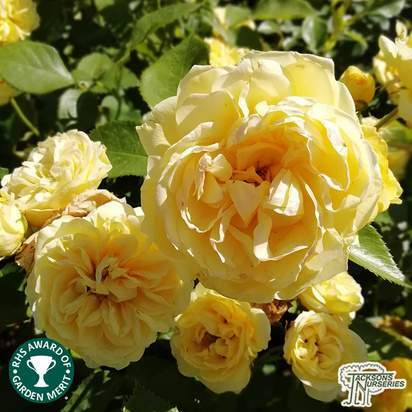 A popular choice the Floribunda rose group is unrivalled for colour, reliability and longevity as a bedding display however the flower form in generally inferior to the Hybrid Tea. 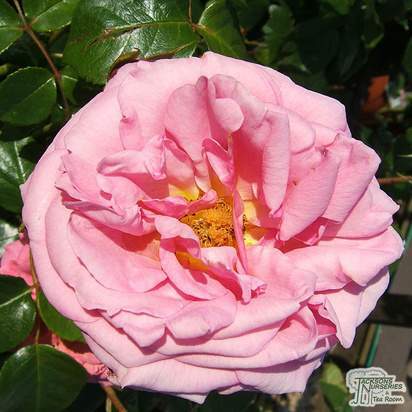 Patio roses were introduced in the 1980’s and the group now contains several popular varieties. 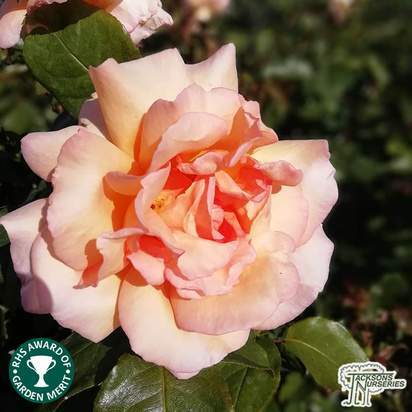 Generally low-growing roses that were once grouped with the Floribuna group but have now been put in their own group of compact versions. 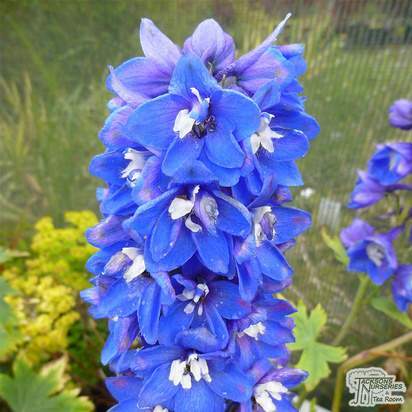 Usually growing about 50cm high they make excellent plants for patio containers or at the front of borders. 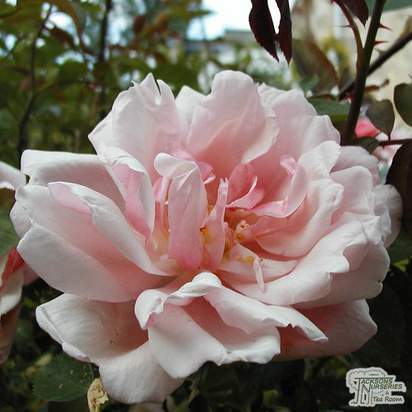 Climbing roses as the name suggests are the perfect choice for covering a wall or screen. Often grouped together with Ramblers, Climbers tend to have stiffer stems, larger flowers but smaller trusses than Ramblers. Rambling roses are often grouped with Climbing Roses but the ramblers tend to have a more pliable stems that can be used to run along the soil to use as groundcover or can be used to make weeping standards. Miniature roses have increased in popularity in recent years due to their versatility, even grown indoors as temporary pot plants that grow to a maximum height of 40cm. 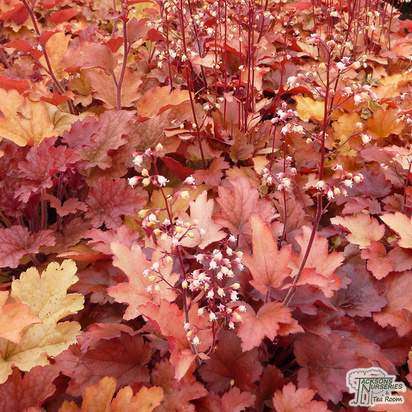 An ideal choice for planting in tubs, edging beds and rockeries. 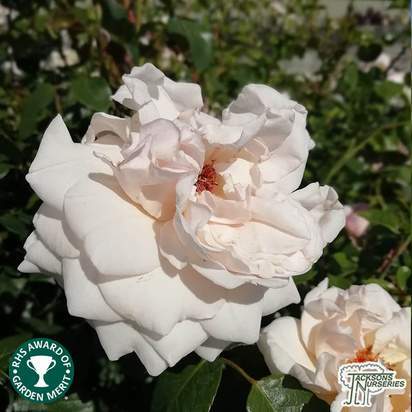 Often referred to as Austin or David Austin Roses, English roses are hybrids of old English roses and more modern varieties bread by David Austin to provide the best of both, mixing old rose shapes and scents with more modern colour range, compact habits and repeat flowering. 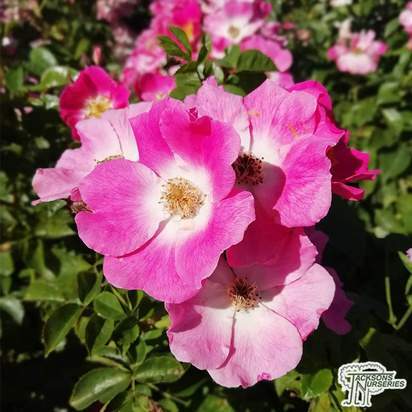 Roses like a generous root space, so dig a deep hole approximately twice as wide as the current root system, preferably adding composted organic matter to the soil. 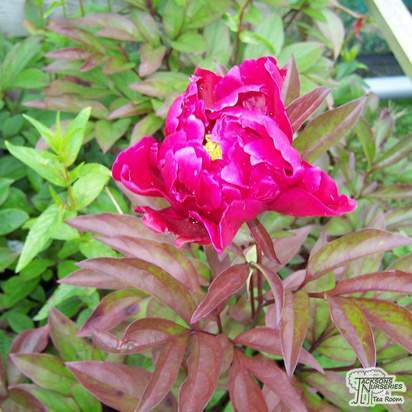 Never plant into frozen soil – in winter, await a frost-free period. Carefully remove the pot and gently tease the roots apart to spread them around the hole. 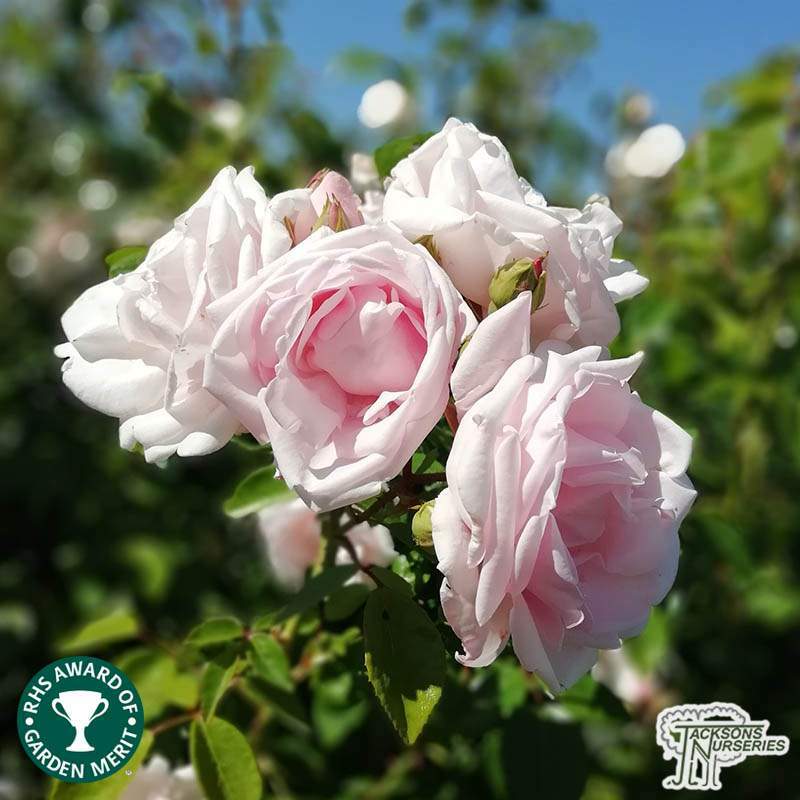 Position the plant so that the ‘bud point’ (the place where the shoots emerge from, where the cultivated rose was grafted onto the rootstock) is at soil level. Replace the soil, firming it down gently, then water copiously. 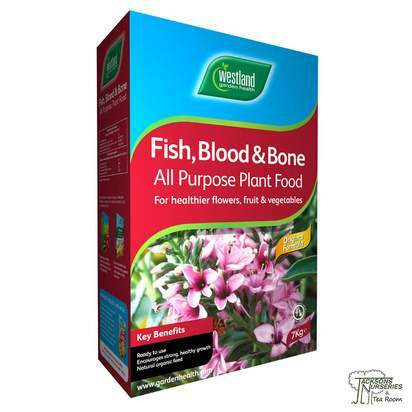 Ideally, a general purpose fertiliser should be applied to the surrounding soil as a top dressing. 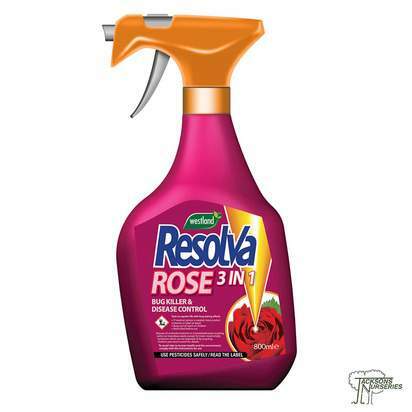 We also highly recommend the use of Rose Rootgrow, which provides a friendly fungus that prevents ‘rose replant syndrome’. 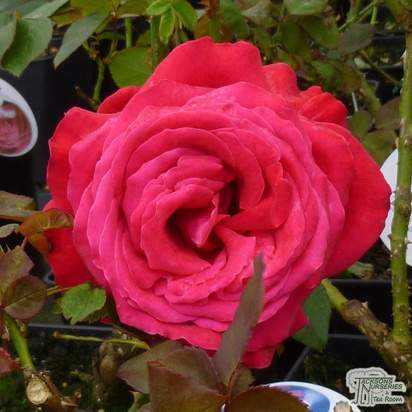 Most of our roses are supplied in a 4 litre pot although this may vary slightly depending on rose variety. 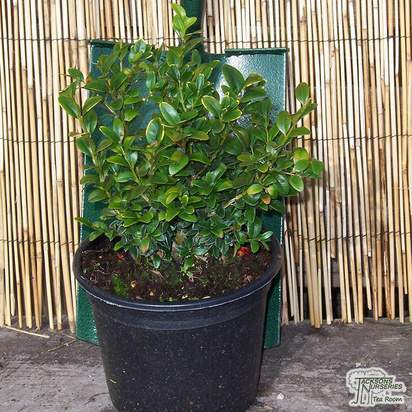 If the size of pot differes significatly from 4 litres then we will make this clear somewhere on the product page. 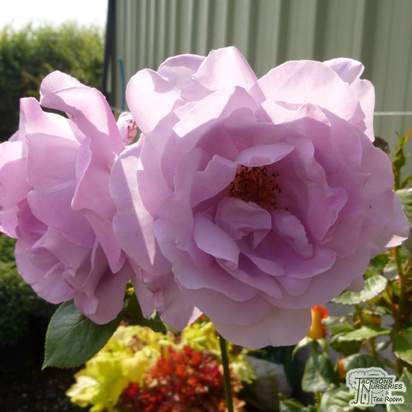 Our roses are grown outdoors and as such are subject to seasonal changes. 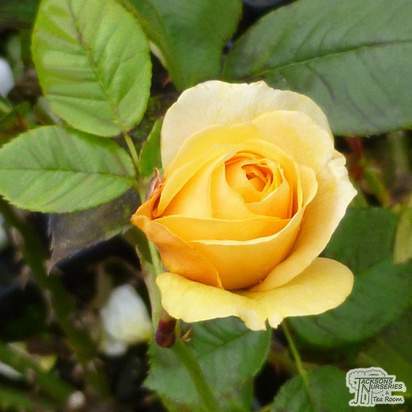 As we sell potted stock throughout the year your rose may not arrive and look like you expect it to. If you are uncertain how your rose will arrive (especially if buying for a gift) then we suggest you contact us prior to making a purchase. Each year a new batch of roses is potted up ready for the following season. Once potted (usually November/December time) they go on sale as 'Freshly Potted'. 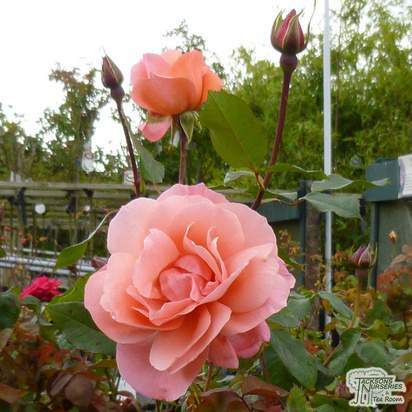 If you purchase a freshly potted rose and plant it soon after you will find that when removing the rose from the pot there will be a lot of loose soil as the roots will not have had time to grow and bind the compost. In autumn the majority of our roses have finished flowering and begin to look untidy, at this point we prune them quite hard in preparation for the following season. 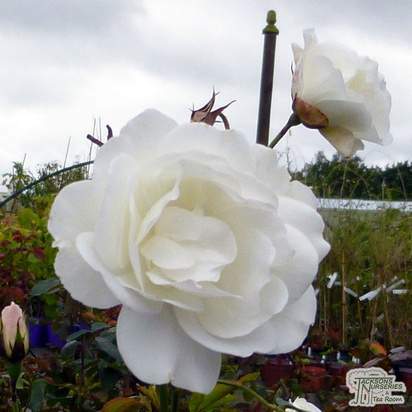 We continue to sell roses throughout the year, when a rose has been pruned in such a way we will identify it has being so. If you are not sure what to expect then please ask prior to making a purchase. 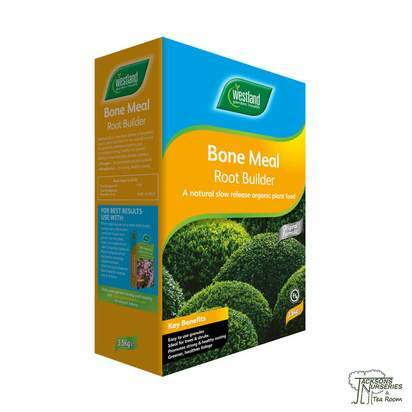 Some garden centres/supermarkets sell stock that has been grown abroad or in poly-tunnels so they look 'picture perfect' out of season, while this is ideal for a gift they are short lived once planted. Water regularly until established. 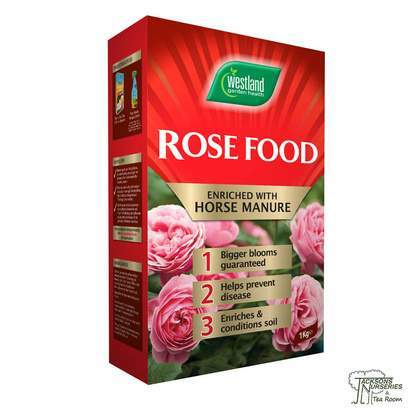 In spring, apply a specialised rose fertiliser along with manure mulch, taking care to avoid direct contact of the mulch with the stems. In winter remove all branches which are dead, diseased or damaged along with any older stems as necessary to avoid overcrowding at the centre. Cut back new growth by about a quarter and prune side-shoots to within three buds of the main stem to encourage vigour. Prompt removal of ‘dead-heads’ will encourage further flowering.